Don't miss out on this north end cottage cutie! 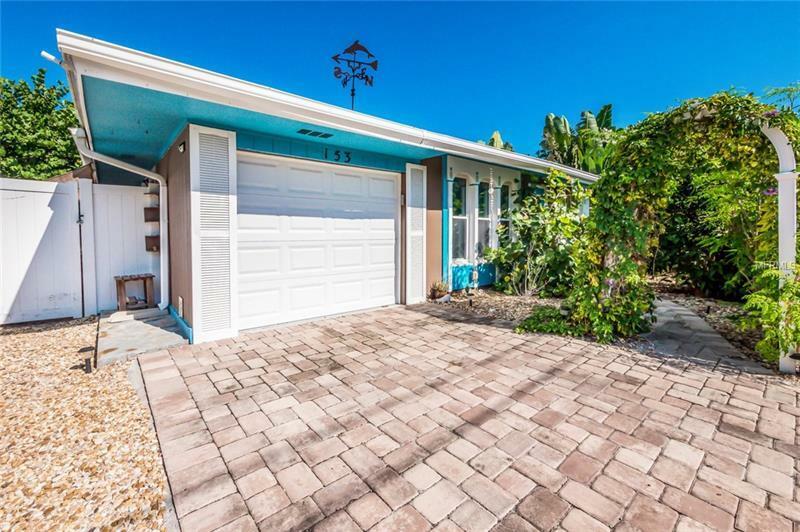 Lushly landscaped for total privacy this home offers 2BD/2BA with an incredible back yard oasis. Enjoy al fresco dining under the jasmine draped trellis on the outdoor patio, then take a splash in the heated free form pool with swim up cocktail tiki table and tranquil waterfall. Other features include a hot/cold outdoor shower, 1 car garage, impact windows, 2 year new AC system and brand new pool heater. Lots of potential for an addition too. Weekly rentals are permitted. This home is the perfect place to ease in to island living and is only steps to Bayfront park and an easy stroll to Pine Avenue.